Obituary – Walls, Joshua Ryan « Perry High School Alumni Association, Inc.
Football (2); Vo-Tech (2); VICA (2), Pres; Sr Class – Biggest Threat to Pedestrians. 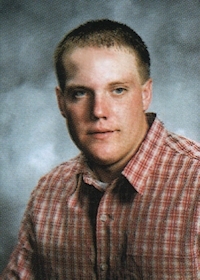 Lifetime Perry resident, Joshua Ryan Walls, 31, was born on October 7, 1982 in Stillwater, Oklahoma to Frank Walls and Angel (Henke) Reese. He departed this life on March 19, 2014 at Perry Memorial Hospital in Perry, Oklahoma. He attended and graduated from Perry High School in 2001. 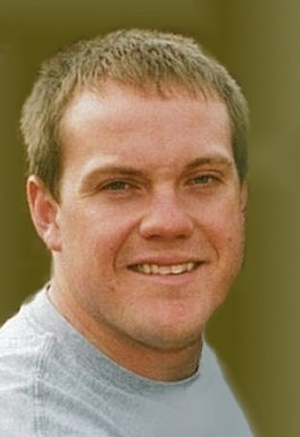 Josh was a member of Christ Lutheran Church in Perry, Oklahoma and attended Life Church in Stillwater, Oklahoma. Josh enjoyed fishing, hunting, and spending time with his kids. He will be missed by all who knew him. A private funeral service will be held. Services are under the direction of Brown-Dugger Funeral Home, Perry, Oklahoma. Josh’s family includes his mother, Angel Reese and her husband, Joey of Perry, Oklahoma; father, Frank Walls and his wife, Sherry of Morrison, Oklahoma; two sons, Kohl Witter of Perry, Oklahoma and Ryan Walls and his mother, Angel Walls of Perry, Oklahoma, three brothers, Duane Reese and his wife, Michelle and niece, Sophia of Perry, Oklahoma, Shawn Walls and Jake Walls both of Morrison, Oklahoma; three sisters, Lyndee Reese of Stillwater, Oklahoma, Ally Reese of Perry, Oklahoma, and Shaina Walls of Morrison, Oklahoma; maternal grandparents, Doc and Dee Henke of Perry, Oklahoma; paternal grandparents, Art and Janie Walls.